Many institutions require drug screening, from businesses and private schools to the military and probation courts. And maybe for good reason, as one could argue the dangers of, for instance, a construction worker or naval shipmate putting him or herself and coworkers at risk if impaired by drugs. Many also frown upon the use of controlled substances among those who receive taxpayer-funded handouts from social welfare programs. Though drug screens may be despised by some, they do lend themselves to some interesting science. The following details how drug use is identified at the molecular level. The five most commonly screened drugs, known as the NIDA 5, are cannabinoids, cocaine, amphetamines, opiates, and PCP. A variety of methods exist when screening for drug use. Recent use can be identified in blood and saliva. In contrast, hair samples can reveal a long-term history of use. When drugs are consumed, they circulate in the bloodstream and are broken down into their respective metabolites. 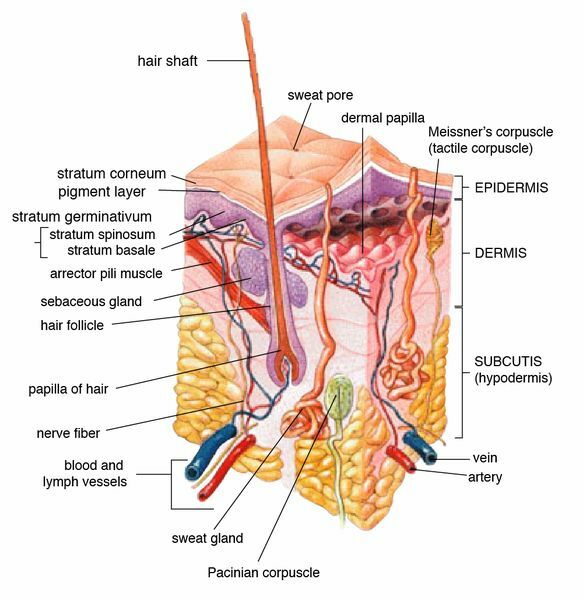 As the blooodstream feeds hair growth, molecules are deposited into the follicle, forming the hair shaft. A sample of hair can provide both the pattern and severity of use. While blood and saliva tests are limited to recent use, a hair test reveals data regarding a period of about 3 months (sometimes more). Hair tests are a real monstrosity to spring on someone. Thankfully, a fourth method is most commonly implemented and will be the focus of this article: urinalysis. Urinalysis is a highly sensitive and inexpensive drug screen that provides information about recent drug use (usually the last few days). Most drugs have relatively short windows of detection, with the exception of cannabis due to its lipid solubility profile (see Substances of Abuse Detection Times). According to a 1994 study, 24 million urine drug tests are performed annually in the United States at a cost of ~$1.2 billion. There are two types of urine drug screens, immunoassay and an additional confirmatory test. Immunoassay testing involves two kinds of antibodies. An antibody is a protein that is composed of four subunits that form two complementary antigen-binding sites (see image 1).The first type of antibody binds to specific parent drugs and their metabolites, which serve as this antibody’s antigen. An immunoassay urinalysis will give a positive result if a parent drug or its metabolite are present. A positive result is indicated through enzymatic action. The second type of antibody used in an immunoassay test is linked to an enzyme. The enzyme will catalyse a chemical reaction to, for instance, emit a color (fluorescence). The antigen-binding site of these additional enzyme-linked antibodies are specific to the first antibodies that bind parent drugs and their metabolites. Therefore, if a drug or its metabolites are present in urine, an antibody will bind them. This antibody is then bound by a second enzyme-linked antibody that will cause an observable chemical reaction (a positive test result). Unfortunately, urinalysis may be vulnerable to false positives and false negatives. Some primary factors that alter urine drug levels are usage frequency, fluid intake, kidney and liver functioning, and other pharmacokinetics. To ensure correct results, urine that tests positive during an immunoassay will often undergo a confirmatory test. An additional confirmatory test is done by gas chromatography/mass spectroscopy (GC/MS). GC/MS begins with gas chromatography which vaporizes urine and separates it into individual components. GC/MS testing continues with mass spectroscopy as a high energy beam of electrons is used to fragment these individual components. The newly formed fragments are then exposed to a magnetic field, which arranges them by their mass as they collide with a detector. The assortment of each fragment can be analysed to reveal structural information about each component of urine. These tests are highly accurate and identify the presence of specific drug metabolites. When testing urine for the presence of drugs and their metabolites, some may also screen for certain positive and negative characteristics. Positive characteristics are those that should always be present in normal human urine. For instance, urine maintains a temperature of 96oF outside of the body and typically has a pH of between 4.0 and 9.0. Additionally, urine may be tested to ensure that it is not too diluted. Dilution is determined by measuring specific gravity (normal range is 1.003 to 1.030 kg/m3) and creatinine levels. If creatinine is absent (<5 mg/dl), the sample is unlikely to be human urine. If levels are low, then urine is too diluted. Negative characteristics are those that should never be present in human urine and indicate that a sample has been adulterated. Some examples are nitrites (oxidize cannabinoid metabolites, rendering them undetectable), glutaraldehyde (disrupt immunoassay enzymes→ false negative), oxidants like bleach or hydrogen peroxide, and pyridinium chlorochromate (masks THC metabolites). Drug screening has been around for decades and gets more accurate every year. From antibodies to GC/MS, the science behind said testing is a clever way to detect an individual’s drug use. Saliva and blood tests identify only recent drug usage, whereas hair testing can identify drug use over the previous several months. Urinalysis, which detects drug use from the last few days, is the most common type of drug screen encountered in the wild. Always be prepared when facing a test. I once tested positive for https://en.wikipedia.org/wiki/Buprenorphine which I’ve only seen pictures of and negative for benzos after a month+ long binge (few g of each or something) of any benzo I got my hands on (mostly clonazolam and flubromazolam since they were the best then (effects and price/performance wise then) and I was visibly fucked up while giving the sample. I don’t like opis and haven touched any for years.